Raise your hand if you have microwave popcorn in your house? Okay, I do too. Even though we rarely use it, we take it on trips when we stay overnight in hotels for a snack so I do have some down in the basement somewhere. But mostly we do air popped popcorn and I much prefer this to the microwave stuff. Why? Have you ever read the ingredient label on microwave popcorn? They usually have chemical additives to maintain freshness and color and for fake butter flavors. Besides the health benefits, my family of 7 would need to pop several bags in order to satisfy their cravings. 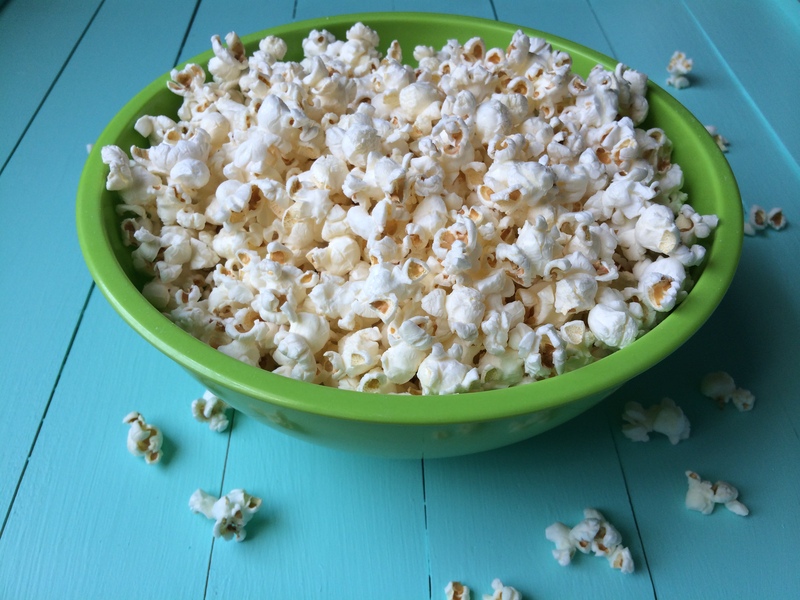 But with our air popper, we pop up half a cup of kernels, drizzle a couple of tablespoons of butter on top with a sprinkle of sea salt and we have a great after school snack or a fun treat during family movie night. 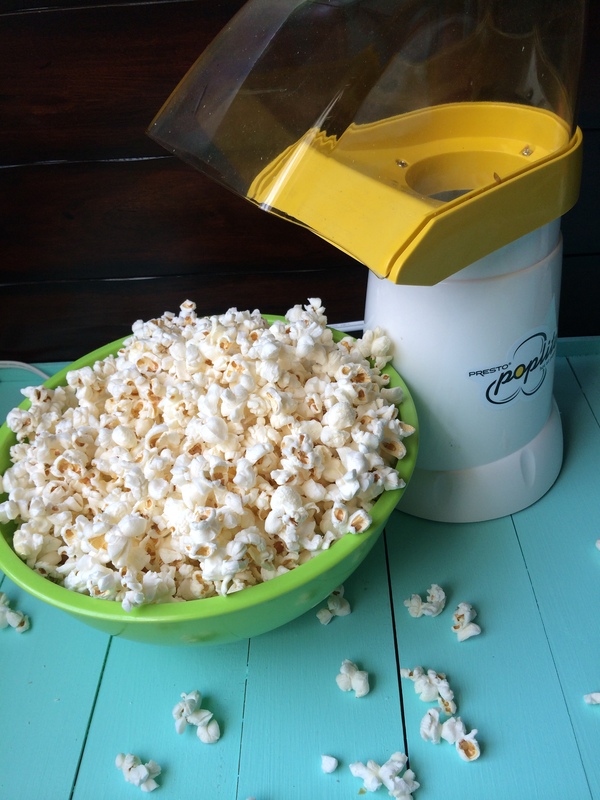 I’m sure many of you know how to make air popped popcorn (or you saved the instructions that tells you how), but for those who don’t, or for those who want to try my families way of doing it, I will share how we do it. 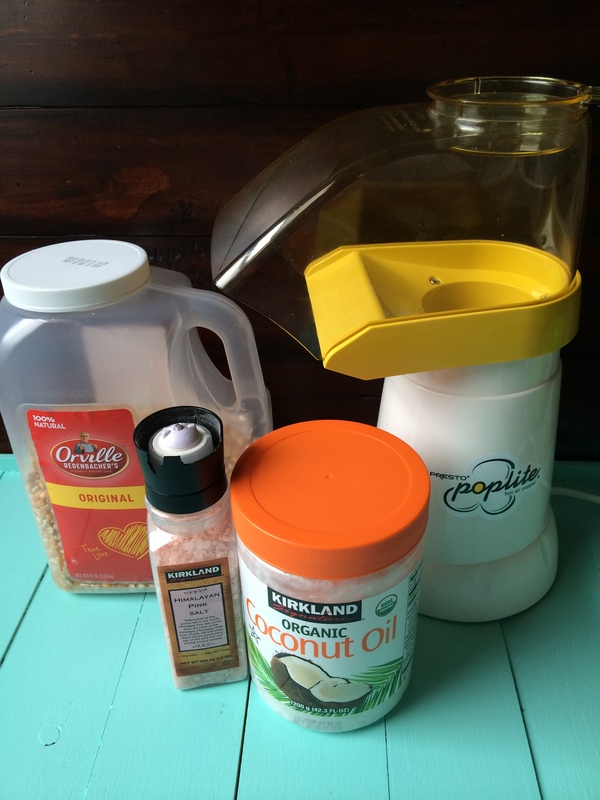 You will need 4 things: an air popper, 1/2 cup of popcorn kernels (yellow or white), 2 Tbsp coconut oil or butter, and sea salt to taste. Put your popcorn kernels into your air popper and put the cover on top. Grab a large mixing bowl and stick it underneath and plug it in. A few minutes later you’ll have beautiful popcorn. Melt your coconut oil or butter in a bowl in the microwave for 20-30 seconds. As a side note, I don’t use the melting tray that sits on air popper because it never fully melts my butter/oil and after so many times of having to stick the not completely melted butter tray in the microwave, it cracked my tray which in turn broke my popper when a babysitter still put butter in the cracked tray and it sizzled down into the popper. We have a new one now but we just won’t go there again. Drizzle half of your melted oil/butter over the top of popcorn bowl, sprinkle it with a little sea salt, stir, add the remaining oil, sprinkle again with salt, stir and serve! Put popcorn kernels in air popper. Place a large bowl underneath and plug it in which turns it on. Allow to pop until almost all kernels are gone. Unplug air popper. Melt coconut oil or butter in microwave for 20-30 seconds until melted completely. 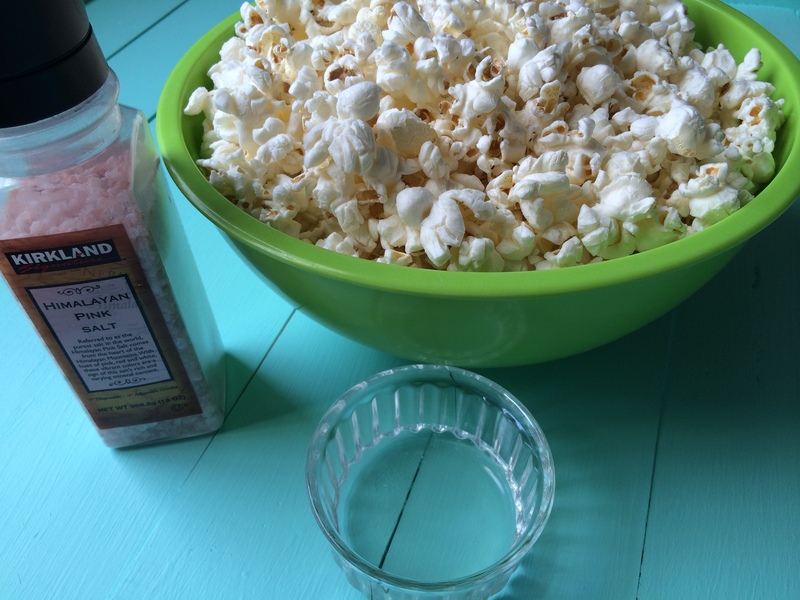 Pour half of oil over popcorn and half of salt (or shake your salt shaker a few times) and stir. Pour remaining oil and salt over top and stir again. 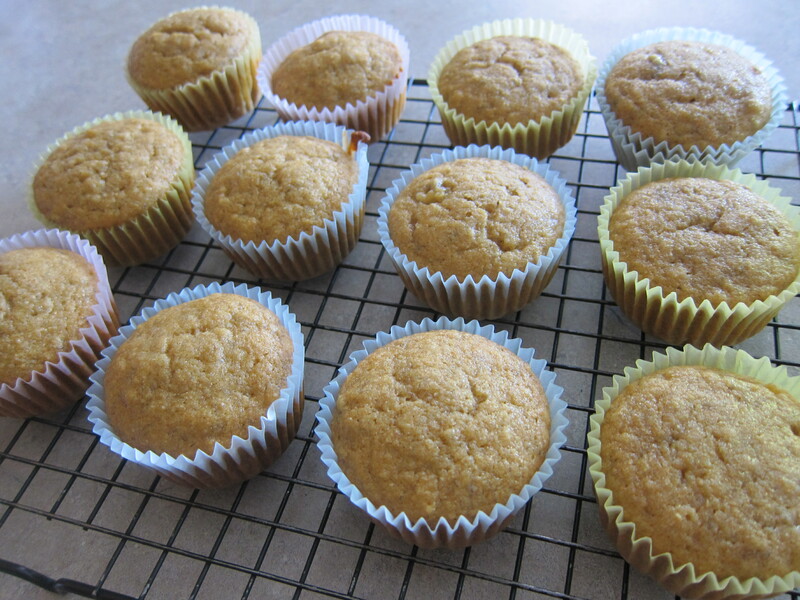 Muffins are a great snack or breakfast food. 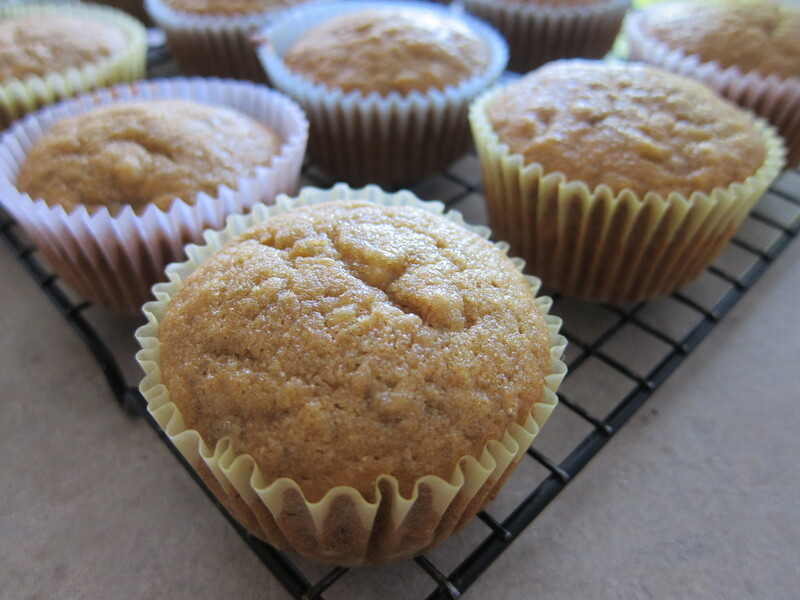 They’re convenient, yummy and this particular recipe is healthy, too! 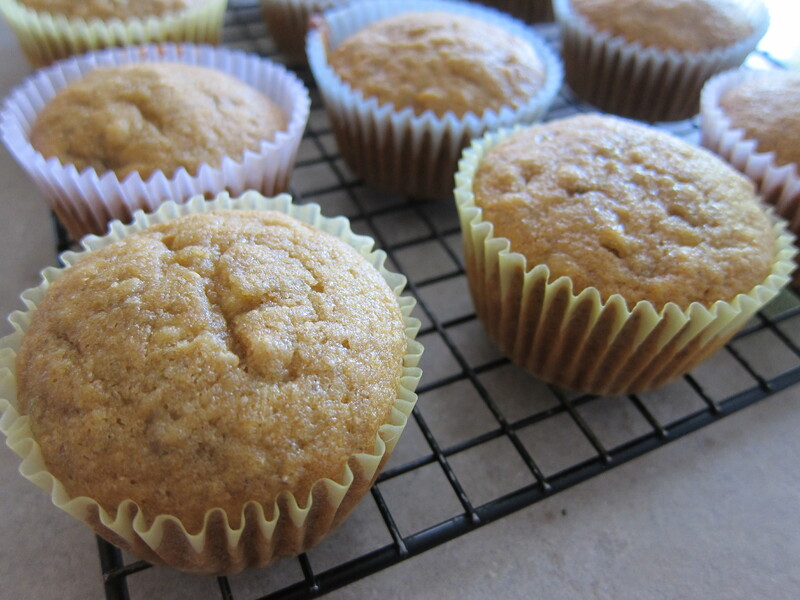 These muffins are so soft and moist and sweet, you would never know there isn’t any white flour or sugar. They are sweetened with honey and bananas. If my kids come home from school and find these sitting on the counter I always hear a, “Yes!” and then it’s silent as they chow these down. I’ll usually allow them to eat a couple since they are pretty healthy. The recipe is pretty basic and straightforward so here ya go! Mix butter, honey and eggs together with whisk in large mixing bowl. Add bananas and mix. Add soda, salt and 1 c flour. Alternately add hot water and then add the remaining flour. Pour into 18 muffin cups and bake at 325 degrees for 15-20 minutes until golden brown and a toothpick inserted in center comes out clean. Cool on rack.